A rich Lenten season can lead to a more jubilant Easter. As humans, we appreciate or enjoy something so much more if we haven’t had it in a while. Think about it. Which do you appreciate more? Eating a piece of cake for the 5th day in a row, or having a piece of cake after being on a diet for months? Receiving a 100 on a test, after getting 7 straight 100s, or getting 100 after failing 7 tests? Hearing a funny joke after listening to 4 hours of comedy, or laughing for the first time in months? The bright sunshine after a week of hot, sunny days or the first sunny day after weeks of rain? Receiving a paycheck after weeks and weeks of checks or receiving a paycheck after weeks of no paychecks? The joy of Easter cannot be compared to anything – there is nothing else so powerful, majestic, joyous, or life-changing but we can experience that joy to an even fuller extent after we have spent 40 days focusing on the suffering and passion of Jesus. The following devotion, “Until Morning Comes,” is from In Touch Ministries and features 40 days of prayer to prepare yourself for Easter. I hope you will use it to enrich your Lenten season. Click here for UNTIL MORNING COMES. 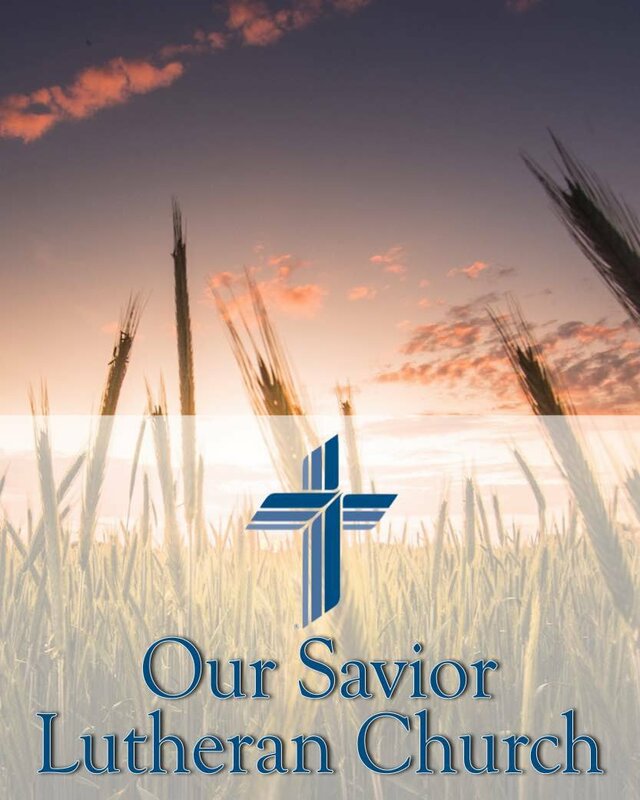 TONIGHT, Wednesday, March 6, we begin our Lenten season at Our Savior with Ash Wednesday Service at 7:30 p.m. Tonight and all the Wednesday nights in Lent we will have our worship services preceded by congregational suppers from 6:00 – 7:00 p.m. Tonight’s meal is a Pot Luck, so come and bring a main dish to share and enjoy some food and fellowship with your brothers and sisters in Christ. The dinner will be followed by a time of prayer from 7:00 – 7:25 p.m. in the church, leading up to the worship service at 7:30 p.m. In addition, Pastor Stelzer and Gary D’Aquino will teach a First Communion Class to confirmands, and all students in grades 4-6 who wish to have early communion, as well as to any adults who would like to learn (or re-learn) about the Sacraments. This class will be taught each Wednesday night from 6:15 – 7:15 p.m.
Thursday, March 7, the Crochet/Knitting Club will not meet at the Semples’ at 7:00 p.m. as many will be attending the Soundview Pregnancy Center Open House at 7:00 p.m. All are invited to the Soundview Open House for light hor d’oeuvres, a tour of the center, and to meet and greet the board and staff. The Soundview Pregnancy Center is located on the corner of Middle Country Road and Eastwood Blvd. Friday, March 8 – There will be a home 5-8th grade OSNAS basketball game in the gym at 4:30 p.m. All are welcome to come and cheer on the team. Don’t forget Daylight Savings Time begins this weekend. “Spring” your clocks ahead one hour before you go to bed on Saturday night. Sunday, March 10 - join us for our regular Sunday morning schedule. Worship services are at 8:00 and 10:30 a.m. Adult Bible Class, Youth Bible Study, Confirmation Class and Sunday School all meet at 9:15 a.m. If you are traveling and/or want to tune in, feel free to listen to “The Voice of Our Savior” on 1100AM, 1370 AM and/or www.WHLI.com at 8:30 a.m. every Sunday morning. 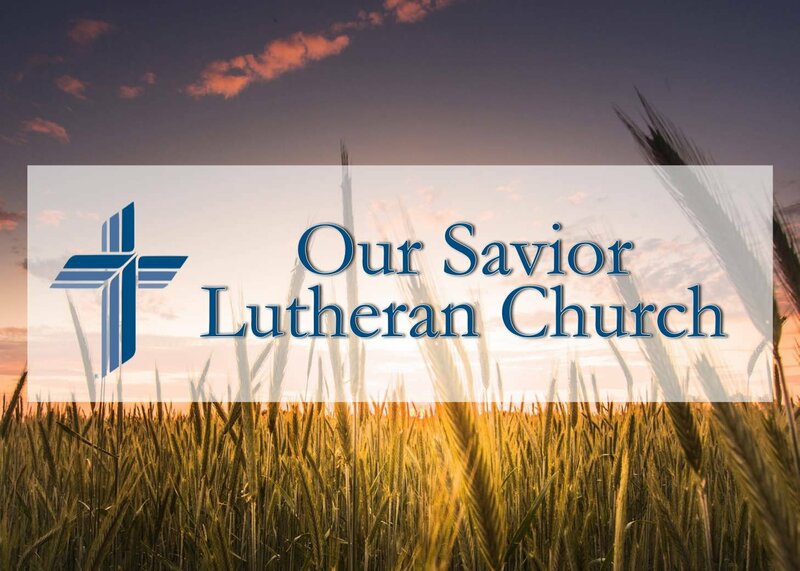 This Sunday there will be a Lutheran League (Sr.) game at home in our gym at 3:30 p.m.
Our Savior Bowling will continue at the Centereach Bowling Alley through March and April on Sundays from 1:00 – 3:00 p.m. The cost for the “Our Savior Bowling League” (remember not really a league – anyone can come and play during these times on any Sunday) is VERY reasonable. Come and take advantage of this great opportunity. Any questions, contact Tara Daniels. Monday, March 11, there will be a Finance Committee Meeting at 7:30 p.m.
Wednesday, March 13 – Same Wednesday night schedule as March 6, but the dinner will be provided by the Church Council. Friday, March 15 – the Youth Group will be going Ice Skating. Meet at the church at 6:00 p.m. and return to church at 10:00 p.m. The cost is $20. Any questions, contact Dawn Alotta. With much excitement I send this letter on the wings of the Lord. The Lord is so faithful and He uses the people of His Kingdom to be a blessing. Today, Christina (Semple) came to our Soundview office with beautiful handmade gifts such as blankets and hats for our clients. I can only imagine the hours and time that it took to make these gifts. What love and dedication! Many of our clients go through very difficult times of frustration and hardship. Some not knowing what their future will be based on the decisions they make. We educate, love them and give them hope that their lives are not over but that they will have an abundant life. Again, I want to thank all the wonderful ladies, sisters in Christ who took time and unselfishly wanting to be a blessings to our clients. Please keep Soundview and all the Pre-abundant life centers in your prayers daily. The laws of the land may change but the Words of our Lord and Savior will always remain.